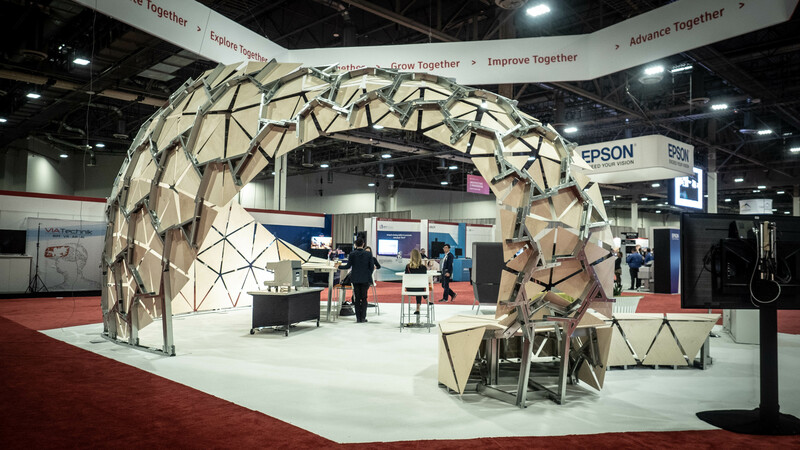 If you made it to this year’s Autodesk University, you may have seen the latest in a series of digitally-fabricated pavilions from Autodesk’s AEC Generative Design Team. 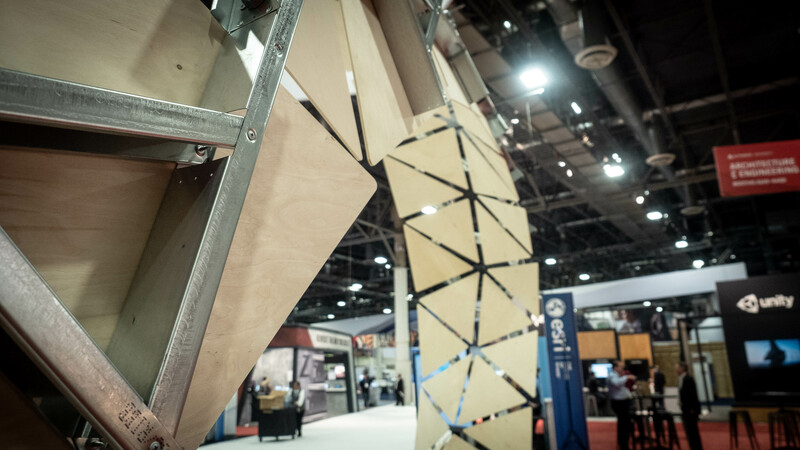 Designed by Autodesk and pre-fabricated by BLOX, the Dynamo Ribbon was a research project that allowed the team to develop new workflows that integrate design, analysis, fabrication, and construction. The team was challenged to go from concept to completion in under three months, with the additional constraint of only two days on site in Las Vegas to build the structure. Throughout the development of the pavilion, Dynamo acted as the nexus between the suite of digital tools and data sources that were used to shape the design. The team knew from the beginning of the project that the program requirements and the size of the project site could potentially shift late in the process. 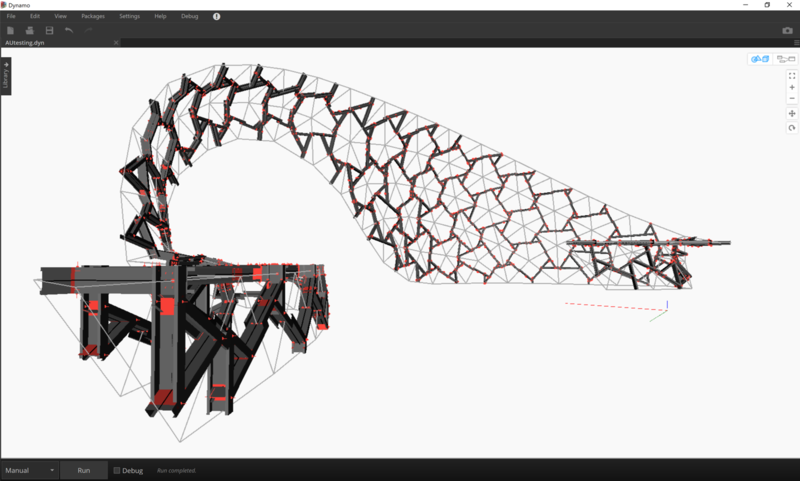 Designing the pavilion parametrically in Dynamo allowed the team to continue refining the technical design details, while maintaining the ability to fluidly respond to changes. At the beginning of the design phase, Dynamo was used to visualize alternative design schemes, and present them to stakeholders. A custom Dynamo package developed by the team called HowickMaker was used to transform design geometry into interwoven line networks, and then into light gauge steel structures. 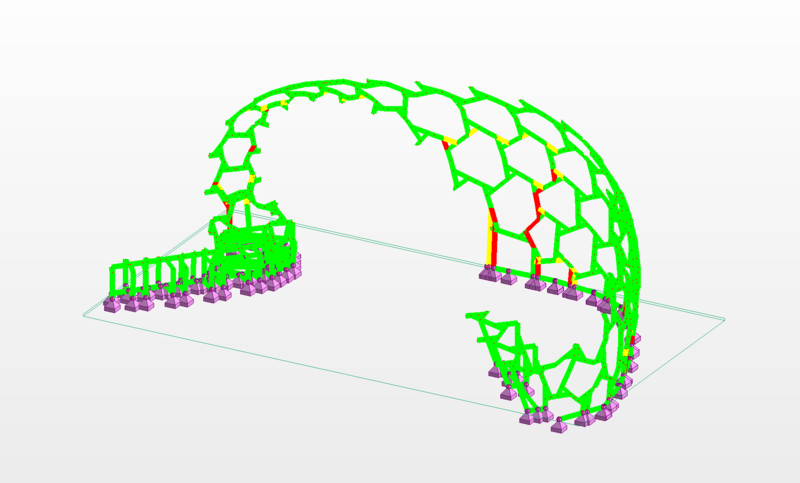 As the design grew closer to its final shape, the steel structures were analyzed for structural stability using the Robot Structural Analysis connection package. The final design was translated into machine files for BLOX, and imported into Revit for further documentation in BIM 360. The pavilion was constructed with only two commonplace building materials – light gauge steel and plywood. 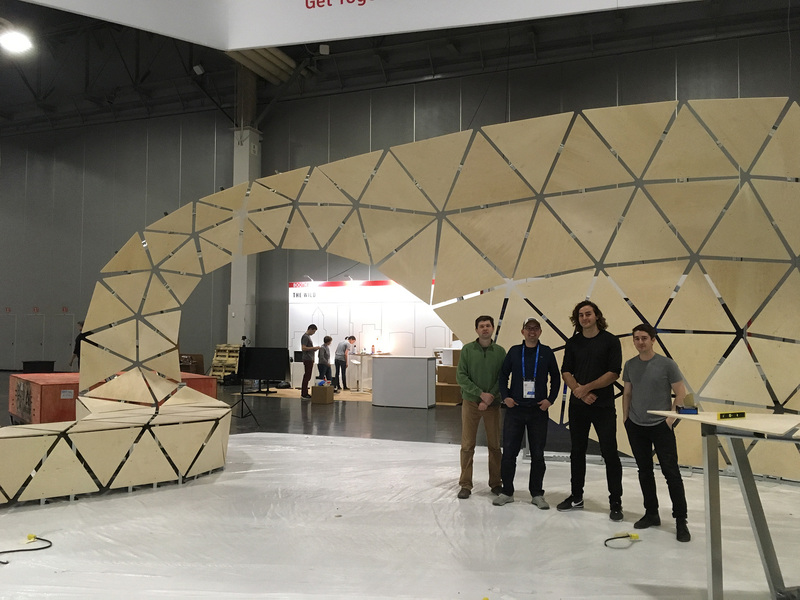 The team chose to use a simple material palette in order to draw the focus towards the concept of lean digital fabrication – the idea that deploying computational design and fabrication processes on large scale projects can allow designers to generate highly complex structures without making sacrifices on cost or buildability. 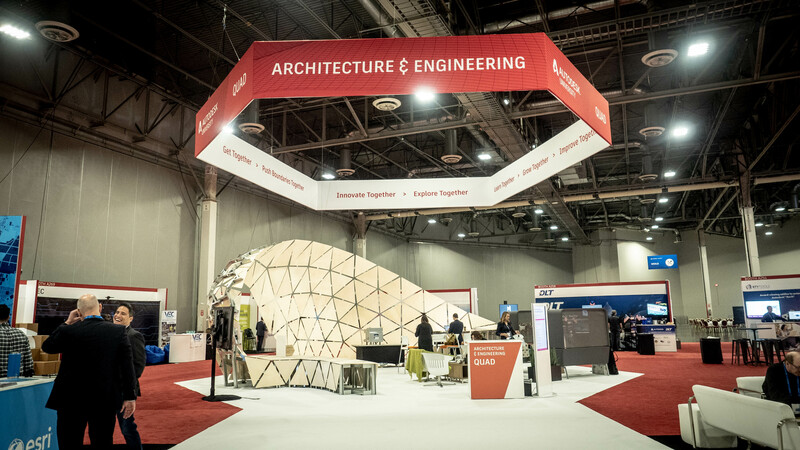 Within the context of Autodesk University, the pavilion was designed to act as a landmark to draw visitors into Autodesk’s Architecture and Engineering Quad at the expo, and host idea exchange and meet-up events for AEC professionals. The swept form of the pavilion created a gradient of integrated architectural surfaces; starting with a bench, the structure quickly morphs into an archway, then a wall, and then doubles back to form an enclosed bar area. The steel skeleton on the exterior creates a self-supporting shell, and integrated anchor points were used to mount custom CNC milled wood panels. At the detail level, the parametric nature of the design allowed the Ribbon to assume a complex form, while only using two unique types of connection details. Every steel member and wood panel was unique, but the fabrication process was kept manageable by utilizing CNC controlled tools to cut and label each component. The ability to parametrically locate the punched holes on each steel member dramatically simplified the assembly process on site, since the custom components removed the possibility of fixing panels at incorrect angles to one another. 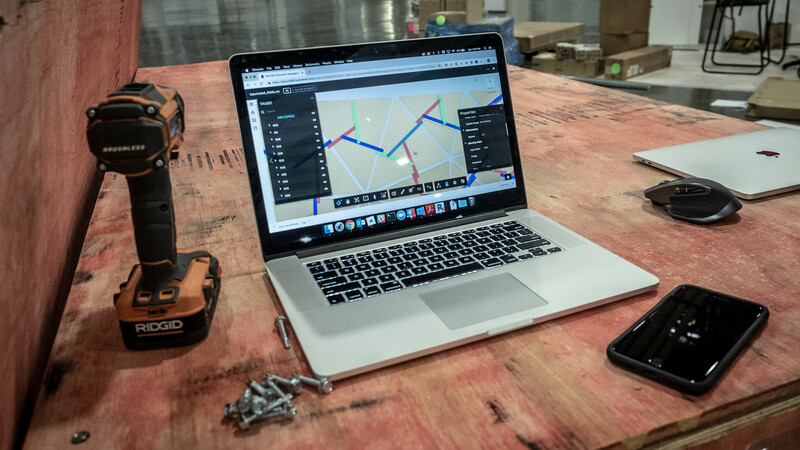 For over a year, the AEC Generative Design Team has been developing the HowickMaker plug-in for Dynamo, which enables users to easily generate files for Howick steel stud roll-forming machines. A roll-forming machine is a specialized CNC controlled tool that can turn coils of flat steel into rigid light-gauge steel studs. As the steel is rolled, the machine is able to punch connection details, cut out sections of the web, label individual members, and cut them to specified lengths. These machines are an efficient way to manufacture large numbers of steel studs in a short amount of time, and they are increasingly being utilized in the off-site prefabrication industry. The goal of the HowickMaker research is to enable rapid design and fabrication of complex geometry using steel studs. Using HowickMaker, the team was able to make changes to the form of the pavilion, and automatically visualize the fabricated components. This allowed the design to evolve around discussions of cost and constructability with close to zero latency. 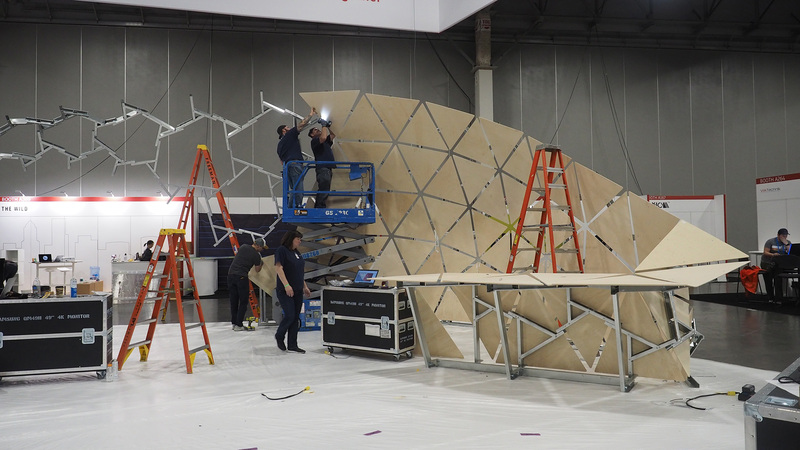 The team collaborated with the developers of Autodesk’s Robot Structural Analysis in order to integrate performance simulation into the pavilion’s design process. Using the Structural Analysis for Dynamo package, the team was able to quickly evaluate the structural performance of the pavilion when changes were made. Each panel contained three unique steel members and a plywood face panel. Steel for each panel was bundled in the factory, but the connection order was unique to each panel and needed to be verified on site. To speed up the process, the studs were color-coded in BIM 360 Docs using Dynamo for Revit. Referencing the 3D model proved to be more efficient than using traditional drawings since components could be searched for in the model browser by their labels as opposed to flipping through printed drawing sets. Physical tags on the plywood panels aligned with digital tags in the 3D BIM model, simplifying the process of orienting panels on the structure. Thank you to everyone who helped bring this project to life. Contributors are listed alphabetically by company.